ALBUQUERQUE, NEW MEXICO (ANS – October 8, 2017) — “When we kiss an icon, it’s like kissing a friend,” the woman told my wife Melanie and I during a visit to St. George’s Orthodox Church in Albuquerque, New Mexico. St. George’s hosted the annual Grecian Festival, of which tours were given of the sanctuary. Our guide pointed out some of the iconography around the room, including the preeminence of Christ and the Trinity in Orthodox imagery. The woman was passionate in her faith, letting us know that she doesn’t worship images — she worships Jesus, but uses the icons as reminders of God’s presence. She handed us Biblical readings found on a calendar and gave us an overview of an APP developed by the American Orthodox Diocese . I got a kick out of the fact that an ancient church like the Orthodox is using up-to-date technology to proclaim Christ. Good for them, I thought. For some convinced Protestants, discussion of icons can be like someone slurping a soda during a movie; it can get annoying. But not for me. As one who is influenced by Avant-garde iconography , I can appreciate what the ancient Christian artists were aiming at: seeking essence and transcendence through the use of art. And though I don’t use traditional imagery in my icon-influenced art , I am indebted to the Christian artists of yesteryear, helping shape my understanding of the metaphysical and theological underpinning of iconography. And, yes, I bought and icon during the Grecian Festival at St. George’s. Other words are the ozhivki (the life-giving lines, accentuating the life of an object), the dvizhki (lines used to heighten the object), and otmetiny (markings, including the text). As one can see, lines are important in Orthodox iconography. Another important feature to notice in Orthodox iconography is perspective. As a summary, the Dormition Orthodox Monastery writes, “Icons are not three-dimensional. Perspective in the icon does not exist. The attempt is made to suggest depth, but the frontal plane is never abandoned, because the icon is not a representation of our conscious world, but an attempt to suggest the beauty of the Kingdom of God. Natural objects are therefore rendered in a vivid but symbolic, sometimes an abstract manner, because spiritual reality cannot be represented in images, except through the use of symbols” . And as mentioned above, Florensky has written several essays on the topic of perspective in iconography. And then there’s color — symbols on the light spectrum. Color has definite meaning within iconography. And though there’s some variation, here are some of the most used colors: gold (Christ and His divinity), write (purity and eternal life), purple (Christ’s royalty), red (humanity, activity, and Christ’s blood), blue (heavenly kingdom), green (earth, Scripture, and growth), brown (poverty), yellow (sadness at the tomb), and black (death and void) . Text. Words are an important facet of iconography, helping articulate the power of the Word — Christ, and the word, the Bible. And for Avant-garde iconography, the text of the world — God’s created universe. In my art, text—including numbers—is vital. 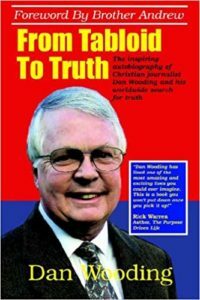 Text helps symbolize three key truths: Jesus (the Word), the Bible (the word), and creation (the world). The final component needed to help one understand icons are symbols. And though there’s too many to discuss in a short article, here’s some of the most common: halos, angels, fruit, flowers, birds, trees, saints, chalice, and Scripture . In my art, symbols are used with great regularity. To put another way, iconography investigates the heavenly by looking to a human, Jesus, whereby Christ is the eikon of God — the express image of the Lord [9, see Colossians 1: 15], affording us a glimpse back into the heavens to contemplate God’s truth, beauty, and goodness. 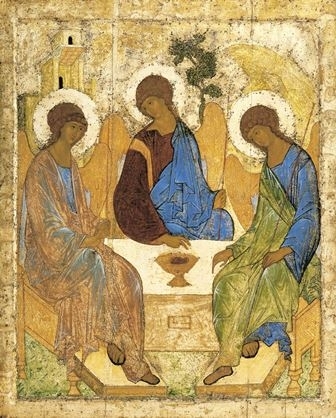 3) I’m interested in the interconnectedness between natural theology and systematic theology and the relationship icons have to modern artists. Photo captions: 1) A young Chinese boy kisses an icon made up of saints. 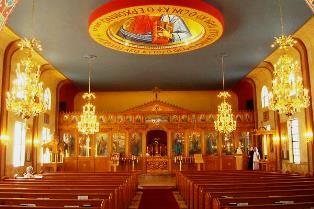 2) The sanctuary of St. George’s Orthodox Church, Albuquerque, New Mexico. 3) Icon of Pavel Florensky, priest and martyr. 4) The Avant-Garde Icon by Andrew Spira. 5) An icon of Christ. 6) Brian and Melanie Nixon. ** You may republish this or any of our ANS stories with attribution to the ASSIST News Service (www.assistnews.net ). Please tell your friends and colleagues that they can receive a complimentary subscription to ANS by going to the above website and signing up there. State of the Epicenter 2017 — How Many Followers of Jesus Are There?